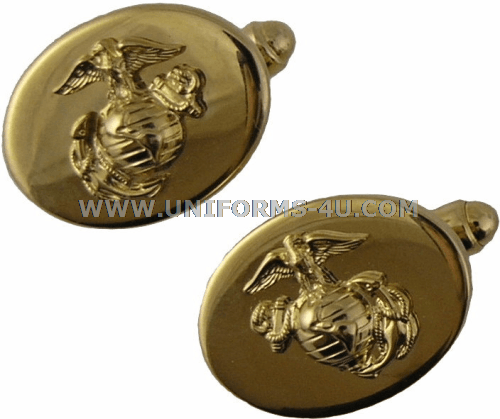 Unlike junior enlisted personnel and Noncom-missioned Officers (Corporals and Sergeants), Staff Noncommissioned Officers (SNCOs) are authorized to wear cuff links that have gold-plated Marine Corps emblems (the Eagle, Globe, and Anchors) superimposed on them. 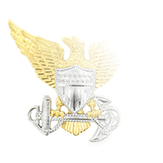 The concave, elliptical-shaped cuff links are worn by SNCOs with the Blue Dress “A/B,” Blue-White “A/B,” and SNCO Evening Dress uniforms. 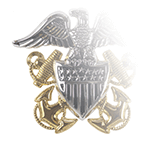 SNCOs may also wear cuff links with the Service “A” uniform if they have purchased the optional French cuff khaki shirt. 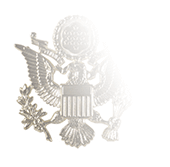 Besides the duty uniform, the French cuff khaki shirt may also be worn on liberty and leave, or during parades or ceremonies if prescribed by the local commander. 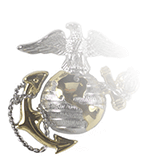 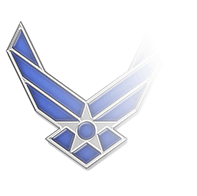 While Cuff links, shirt studs, and tie tacks/clasps featuring the USMC emblem are authorized for wear with civilian clothing, it is still a good idea to consult with you local commander regarding the wear of specific items such as these.